The renovation and modernization of Presperse’s headquarters highlights the brand’s identity within the interior design, reinforcing their leading status with technological innovation in their industry. 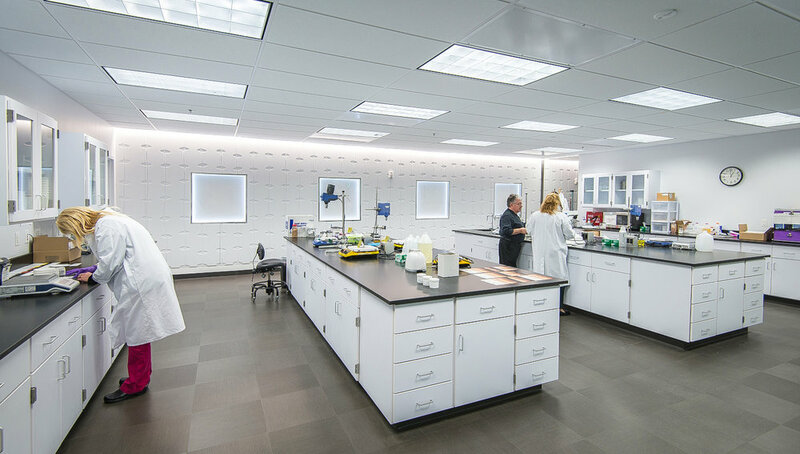 As a premier global supplier of raw materials and advanced technologies for the cosmetic industry, Presperse’s headquarters offers space for corporate offices, research and development, and warehouse facilities. The renovated space of offices and laboratories are to be used for both product research and marketing. 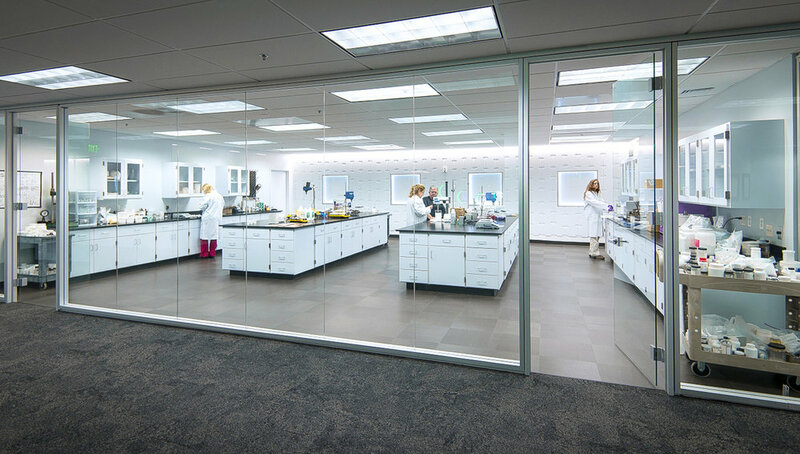 A seamless integration of open office to laboratory areas allows for maximum communication between laboratory scientists and product analysts. 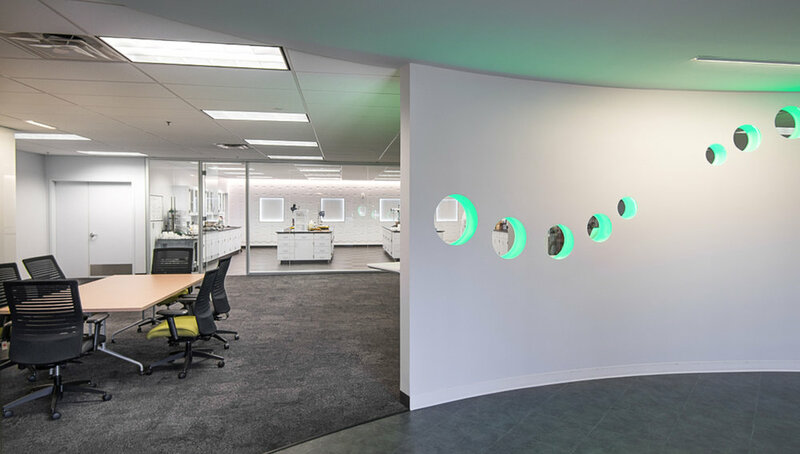 The interior design incorporates a white laboratory environment with lighting that achieves a high color rendering index, maximizing the ability to see cosmetic compounds correctly. With their new headquarters space, major cosmetics companies are now able view the process of making the cosmetic compounds in the Presperse laboratory. This will encourage faster decisions as whether or not the compound is appropriate for use in a market product. As a result, this will positively impact the customer relations for Presperse.